Right, lets get you up to speed. 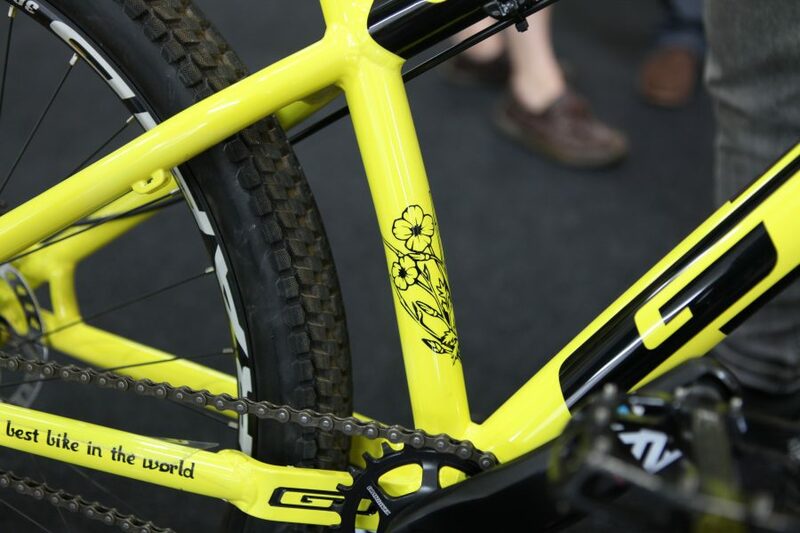 Check out our first post from the CSG Connection for the background, and the latest shiny new bikes from Cannondale. ‘Dale aren’t the only brand to be distributed by CSG though. GT have had a relatively low profile in the UK in recent years, but that’s slowly changing and they’re presence is growing again. 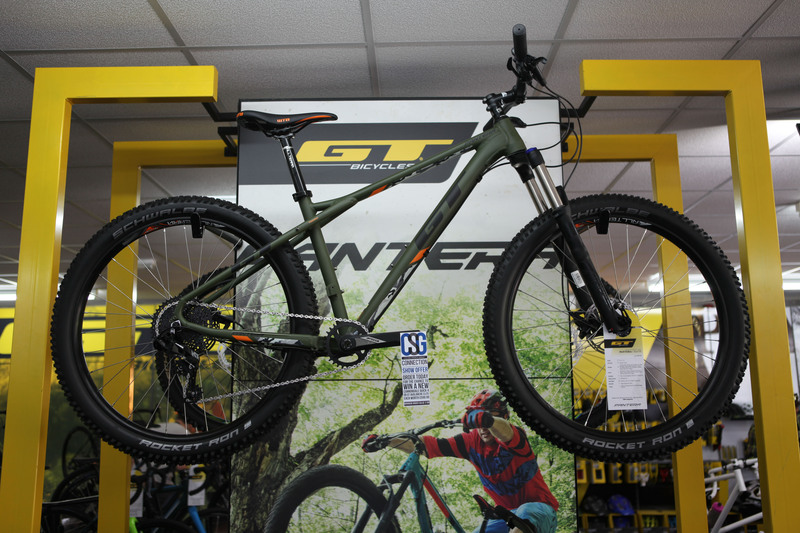 For 2017, the GT suspension line up is largely unchanged, but their designers have gone back to the drawing board with all their hardtails, bringing their geometry bang up-to-date. Let’s start with a new model, eh? 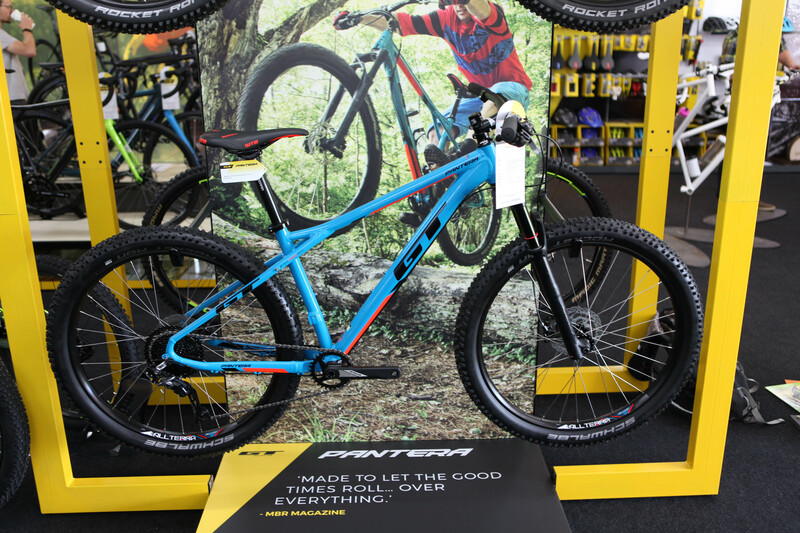 The Pantera isn’t a new name in the GT line up, but it hasn’t been used for a few years, and the 2017 Pantera is an all new bike. 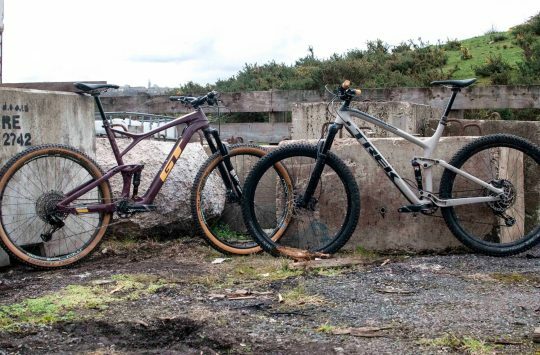 It’s a 27.5+ wheeled hardtail, designed around a 120mm fork and intended to be a fun trail bike. 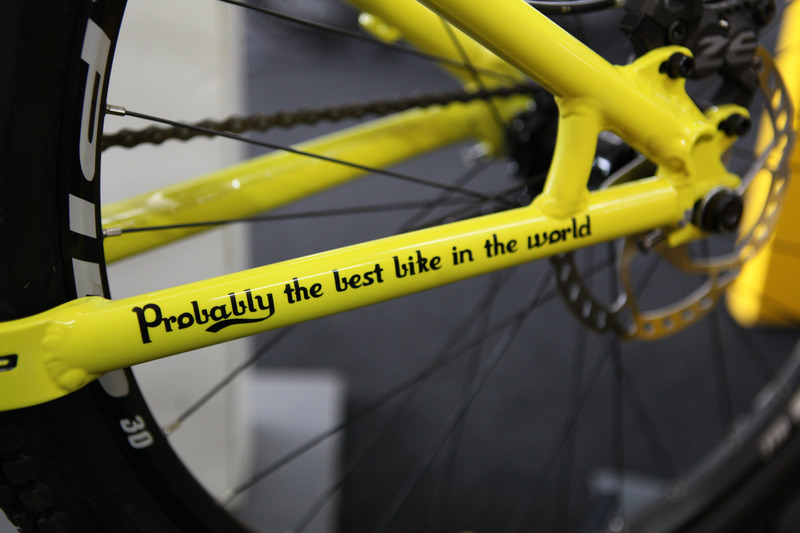 A 68.5º head angle is far from silly-slack, but should make for a confidence inspiring ride. Prices range from £799.99 to £1399.99. 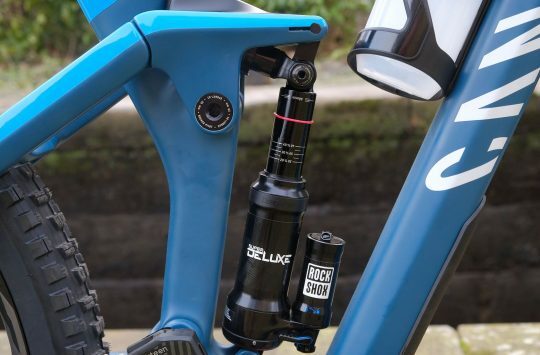 Respective specs look pretty sorted, although it would be nice to see a dropper post included – we’re sure it would be an instant upgrade for a lot of customers. 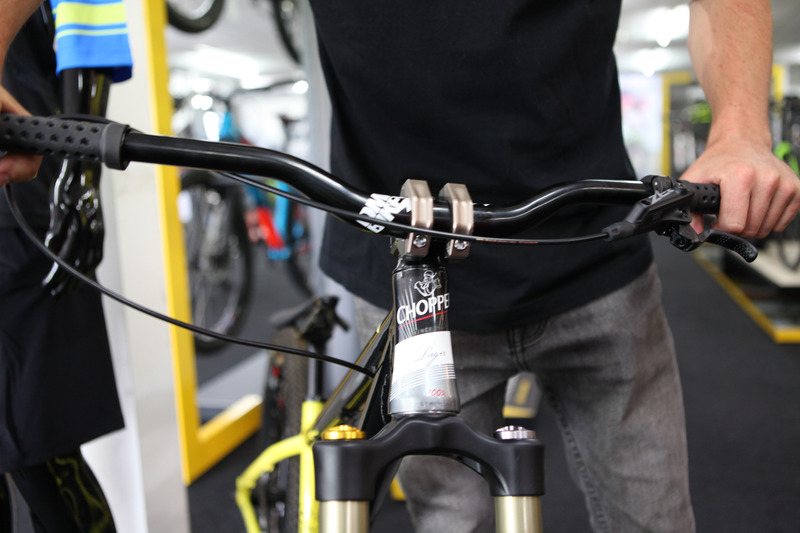 As well as geometry tweaks, all of GT’s higher-end alloy bikes had a redesigned rear dropout/triangle. A curved design is meant to spread stresses more evenly between the chainstays and seatstays. 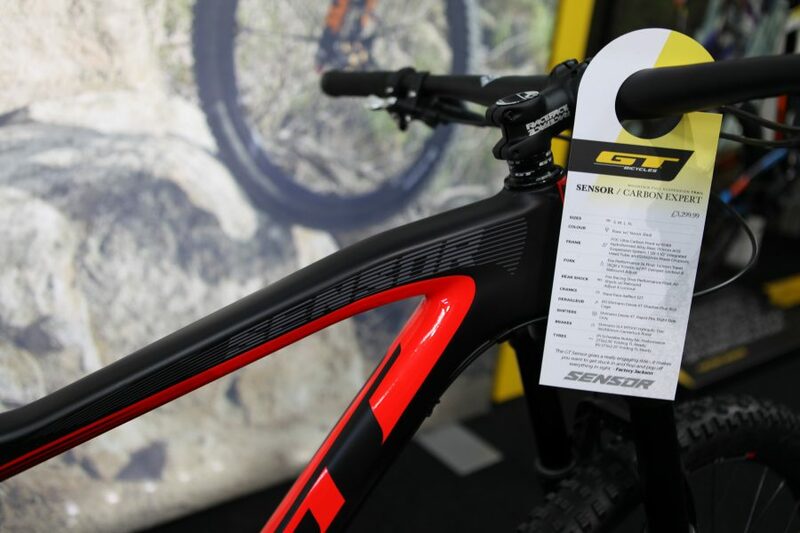 GT’s full suspension bikes are largely unchanged for this year, other than for spec tweaks. 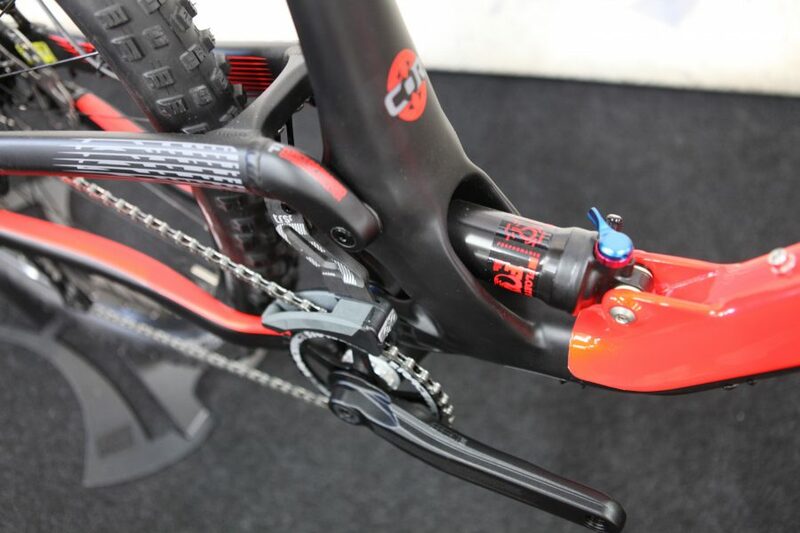 We love the look of this Sensor. 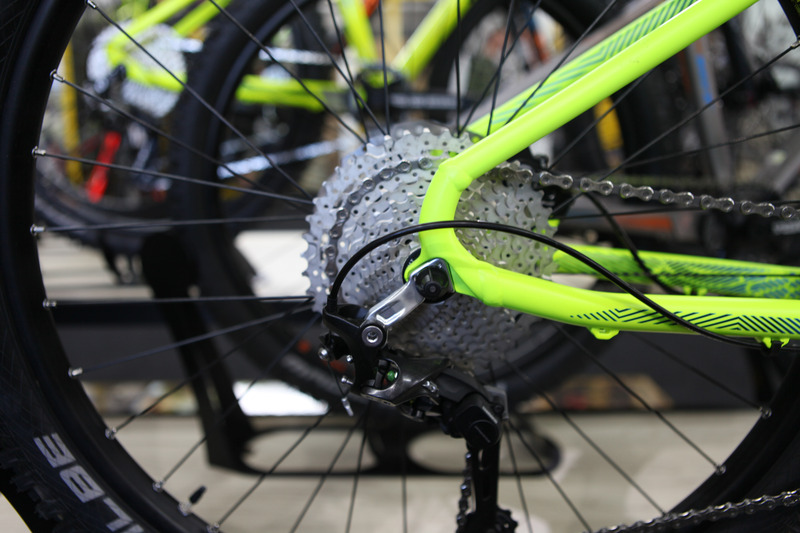 The 140mm front/130mm rear trail bike looks good to go straight out of the box. 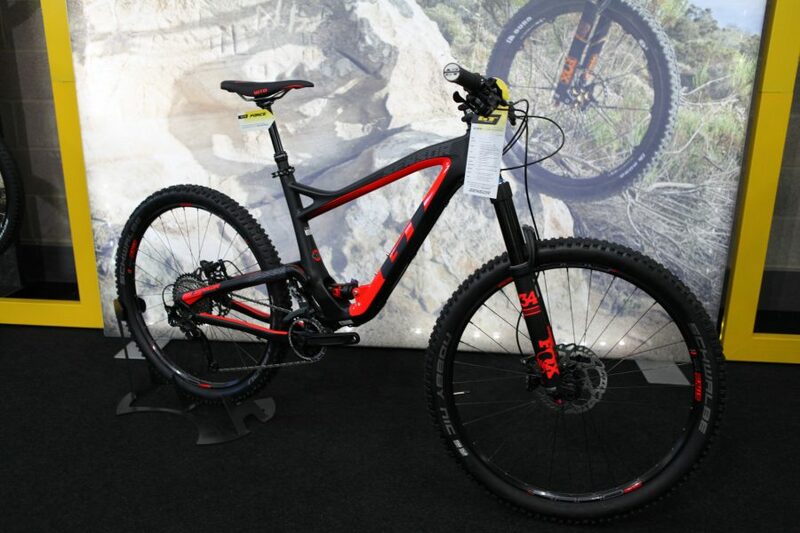 £3299.99 is by no means cheap, but it looks pretty good value for an XT and Fox equipped carbon trail bike. 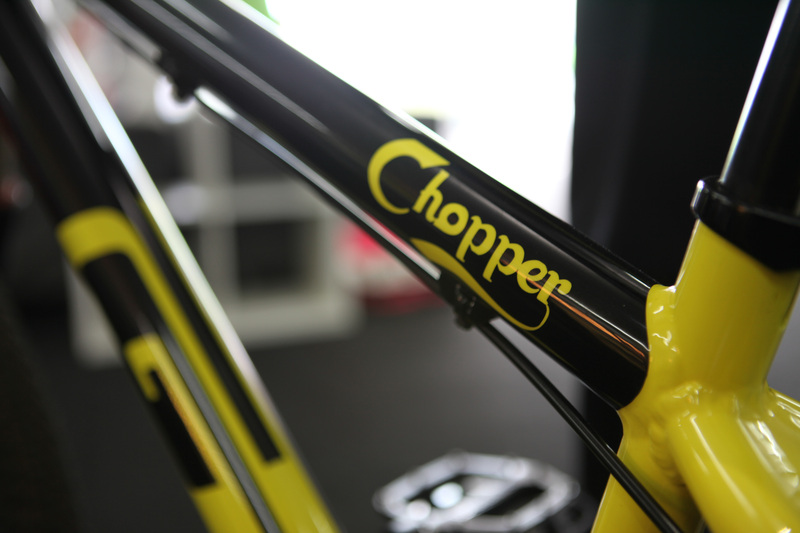 Grant ‘Chopper’ Fielder was showing off his custom painted GT. He worked with the designers to come up with this unique paint job. It’s fair to assume that Chops a) likes his lager, b) supports Southampton FC. 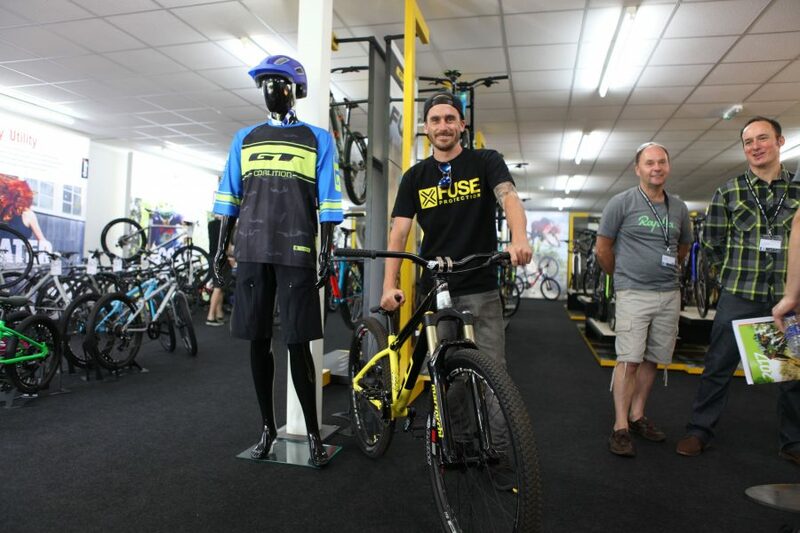 He’s reigning back competing in events himself this year, but is spending a lot of time touring schools, inspiring youngster to get out and ride. Pretty cool. Carling, Carlsberg, Chopper, who cares? 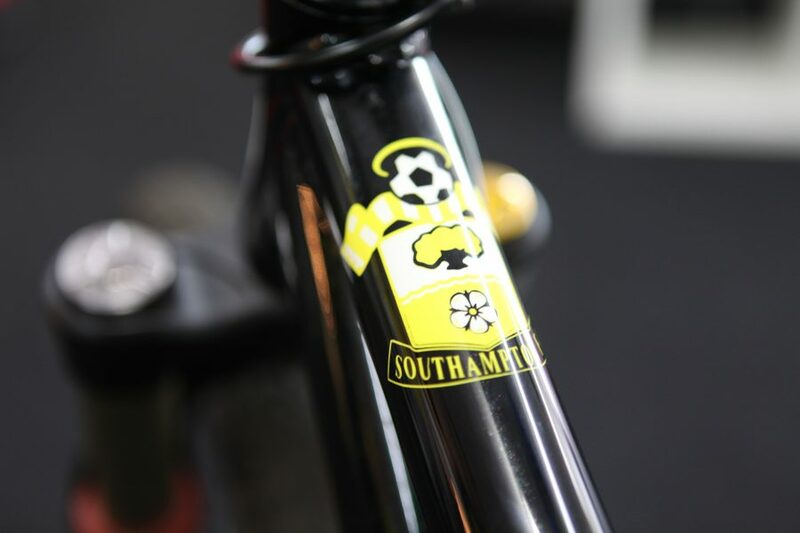 Not quite the Saint’s traditional colours, but never mind, eh? Stay tuned for a run down of the latest from Fabric and Charge, and Sombrio. 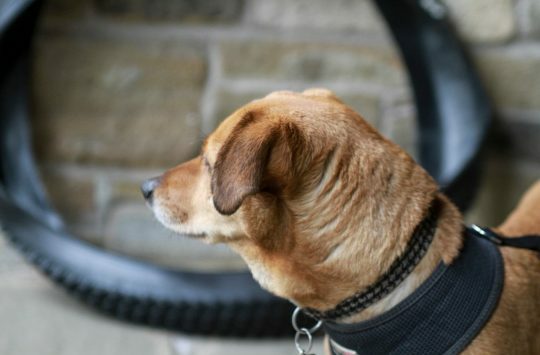 If you are more interested in GT’s ‘cross and gravel offerings, check out grit.cx.